It dawned on me that we haven’t uploaded a video of Waltz for Ronit . . . ever. Of KlezFactor’s growing repertoire, Waltz for Ronit is almost always among the ones that people find the most memorable. Its melody is “klezmer” enough for traditional klezmer gigs and the jazz waltz feel is “jazz” enough for jazz clubs making it one of the most versatile tunes in our oevre. The composition of this tune goes back to when a student didn’t show up for his saxophone lesson at the Royal Conservatory of Music. At the time, the RCM was using a beautiful, historic estate in Port Credit on the shore of Lake Ontario at the southern part of Mississauga, a large suburb west of Toronto. The Adamson Estate features a mansion in the Flemish style, a barn and the “Folly,” a separate structure where I taught my lessons. I had a view of the lake from the Folly and had been thinking about composing a tune along the lines of Marilyn Lerner’s Romanian Fantasy. On a side note, if you don’t have this album and you’re interested in jazz, klezmer or contemporary music, you need to get it now. As usually happens in the compositional process, things change quickly and, of course, Waltz for Ronit sounds nothing like Marilyn Lerner’s work or the original recording on which she based it. I wrote it rather quickly in the old-fashioned way: with pencil and paper, sitting at the piano. We recorded Waltz for Ronit on our second album, Klezmachine, in 2008 and this tune has been a staple in our live shows ever since. 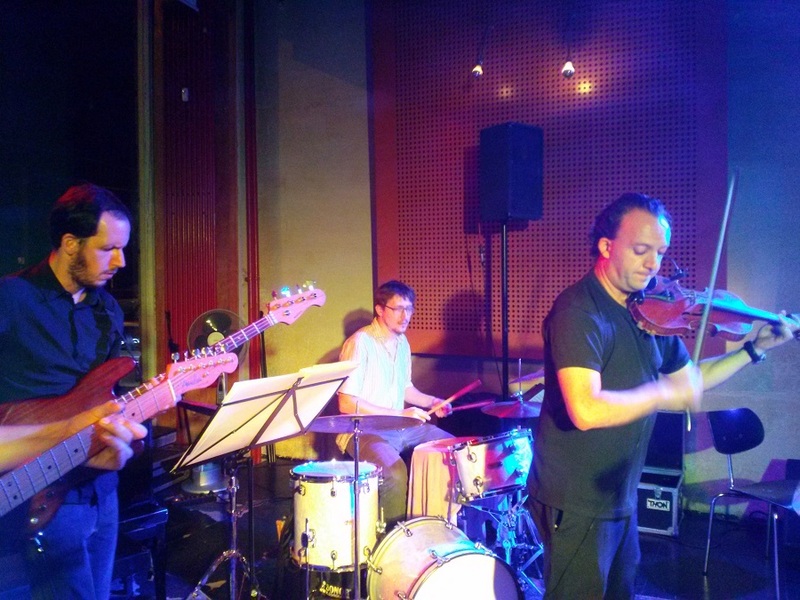 Here’s a performance from the first show of our 2015 European Tour, in Berlin at B-flat Jazz Club. Next → Next post: KlezFactor Returns to Toronto!